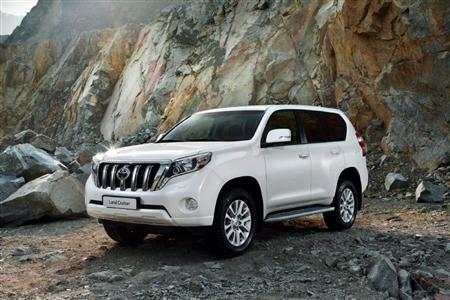 Toyota is preparing to launch an updated Land Cruiser Prado range with improved safety features, better third-row seat access and higher interior and exterior specification. The new Land Cruiser Prado is scheduled to have its Australian release in late October, ready for an early November arrival at dealerships. A refreshed exterior, including daytime running lamps on all models, will be a feature of the new Toyota Prado. Important safety upgrades across the range will include trailer sway control and emergency brake signal. Trailer sway control gives Prado owners an additional layer of confidence and control when towing. The Prado's new front end styling draws on several structural elements from its unique design heritage; a further evolution of the classic Prado grille and a vertical, two-step construction accentuating the new Toyota's rugged appearance. A comprehensive interior upgrade combines new switchgear and instrumentation with enhanced trim and ornamentation, improved second and third row seat designs with new fabrics, and new interior colour schemes. The choice of 4.0-litre petrol and 3.0-litre turbo-diesel engines is expected with the new model. 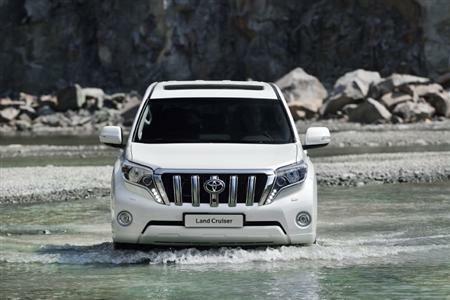 The Land Cruiser Prado debuted in Australia in 1990 and is now midway through its fourth generation.